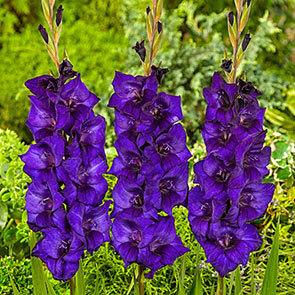 One of the most popular large-flowered glads! This tall drink of water grows up to 5' high, making it perfect for planting in back of a border or adding vertical interest elsewhere in the landscape. Gorgeous, deep purple blooms have darker markings in the throat. 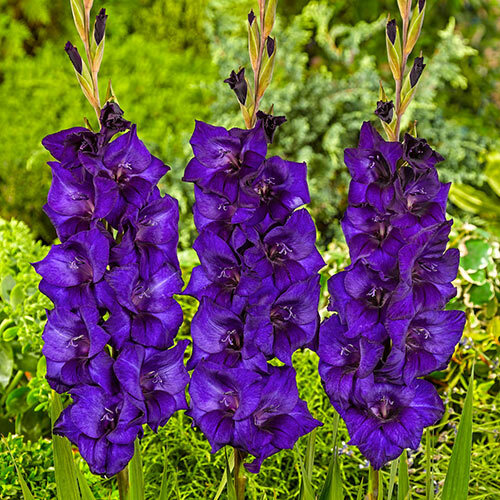 Glads are perhaps the loveliest of all cut flowers, and Purple Flora is up to the task, whether it's adding beauty to a bouquet or providing vibrance to a vase. Florets measure 3–4" wide, developing in dense spikes along one side of each sturdy stem and opening 10–12 at a time. Long, sword-shaped leaves are medium green. 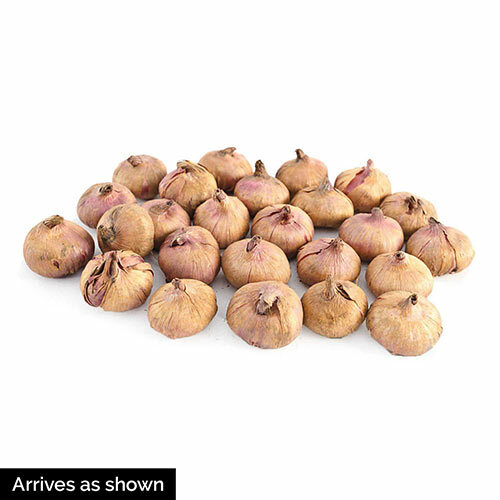 To extend bloom time, plant bulbs every 7–10 days.